Summer is off with a splash – and homeowners are ready to turn their backyards into a sunny oasis of fun with swimming pools and outdoor entertainment. 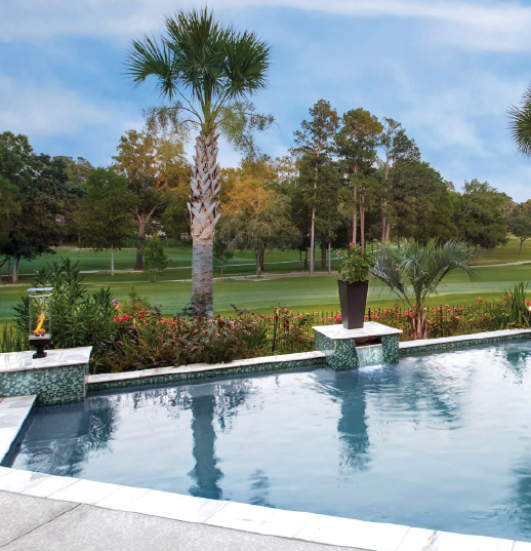 Morehead Pools specializes in pool design, remodeling service and maintenance and outdoor living – which is also growing in popularity. 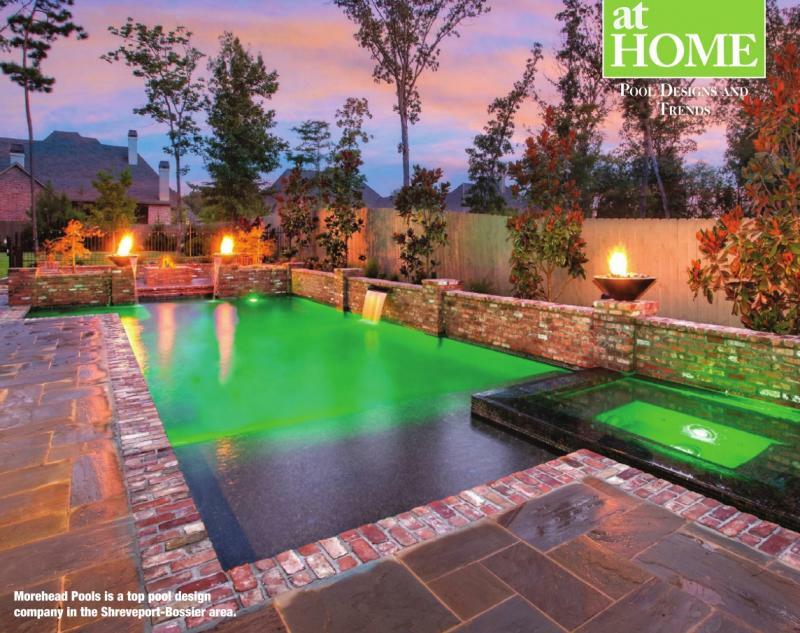 Other 2018 pool trends include darker pool colors, mosaic pool tiles, infinity pools and LED pool lights. Some of the best-selling products right now at Morehead Pools are PebbleTec interior finishes. Several members of the Morehead staff had completed courses through the Genesis 3 Design School, an accredited program designed to challenge and inspire industry professionals to adhere to strict construction and design standards, offering clients the highest quality possible. Morehead Pools is located at 7120 Line Ave. in Shreveport and at 2126 Benton Road in Bossier City. They are one of the 39 members of the Society of Watershape Designers and maintains an active membership with the APSP – Association of Pool and Spa Professionals. For more information, call 318-422- 2902 or visit www.moreheadpools. com. You can find them on Instagram @moreheadpools and Facebook www.facebook.com/moreheadpools/. • Keep consistent chemical levels. Chemical levels are crucial. Improperly balanced water can do damage to eyes and skin, as well as breed multiple types of bacteria. Not to mention, imbalanced chemicals give your pool unattractive, cloudy appearance. Baking soda can work in place of chemicals in a budget pinch. • Use a tennis ball to absorb oil. Suntan lotion and hair products – not to mention a variety of swimmers themselves – can often leave a pool shiny with oil. Throwing a tennis ball into the water can help absorb the oil and leave your surface crystal clear (and double-duty as a pool toy!). • Power wash your deck. This little bit of extra effort provides a fresh and clean backyard appearance year-round. Sometimes, its better to trust the experts. Whether you think the pool “needs” it or not, go ahead and make a yearly appointment for professional maintenance. You wont be sorry! • Learn how to properly winterize. Winterizing is more than just pulling a tarp over the pool and heading inside until summer. Consider purchasing a water testing kit to confirm chemicals are balanced before wrapping it up for the winter. Be sure to blow any excess water from the plumbing lines and make sure the pool is clean before covering.